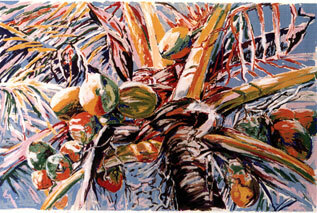 Welcome to the official website of internationally renowned artist Janinne Alter. Drawing inspiration from landscapes around the world, Janinne Alter creates paintings that stimulate the eyes and delight the senses. She is prolific and she handles many mediums with facility. 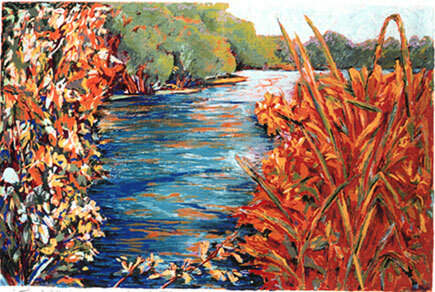 She uses pastels, oilbars, acrylics, and oils, as well as guache and watercolors. She selects her painting mediums according to what she needs to communicate. Her moods often change from aggressive expressionism to serene modernism. In the past two years she completed two large commissions to grace the cabins of two superliners owned by Carnival Cruise Lines, Inc. The names of the ships are "Miracle" and "Valor". Many of the art pieces are being shown on this website. For more information about purchasing work directly from the artist, or details about the work featured here, please call or send an email by selecting the contact page above. Thank you for stopping by janinneart.com—stop back often to see Janinne's latest work.